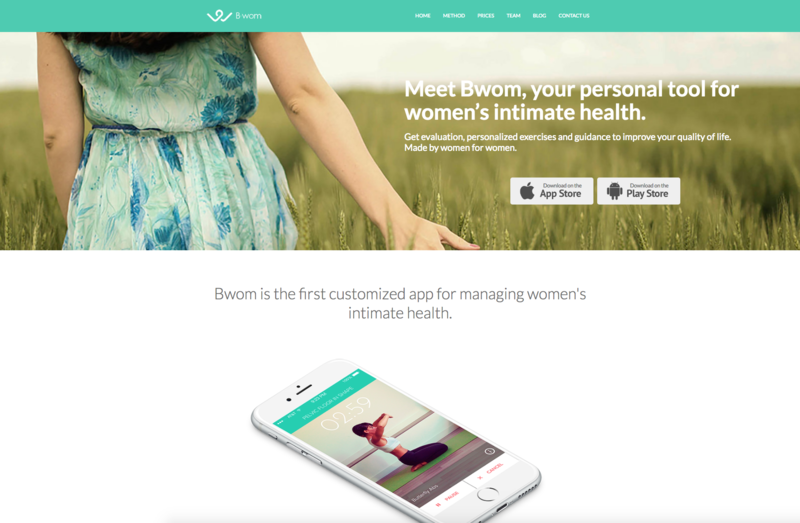 The team of B-wom, experts on female pelvic floor care, contacted us to review the web app to solve architectural and functional problems. They needed to accelerate their MVP and solve some errors while developing the new native application. At the same time, technological consulting services such as technical decision making will be initiated. The collaboration started with both profiles, project manager and technology director services. Weekly there was a hangout with the whole team to discuss the development of the App. The modified code was deposited in the corresponding branch of GitHub, the test environment was evaluated by our team and the production increase was done by the client. The collaboration began in June 2015, with a monthly fee. taking advantage of 30 weeks of pregnancy. Photographs were taken to accompany the entire WebApp. Relaunched the app identifying opportunities and risks for the business. From Womala to B-wom. Photographic collaboration for the App. Commitment to the pelvic floor throughout the pregnancy and postpartum process. Do you want freelance CTO services similar as our with B-wom?